Dylan Covey fired six scoreless innings against the Indians, allowing six hits and a walk while striking out seven. Covey hasn't allowed a run over his last 12 innings pitched. Unfortunately for him, he had to settle for a no-decision on both occasions. 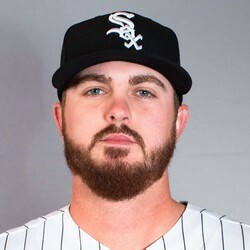 Covey is in line to make one more start this season, which will come against the Minnesota Twins this weekend. He's not a bad option for fantasy owners.